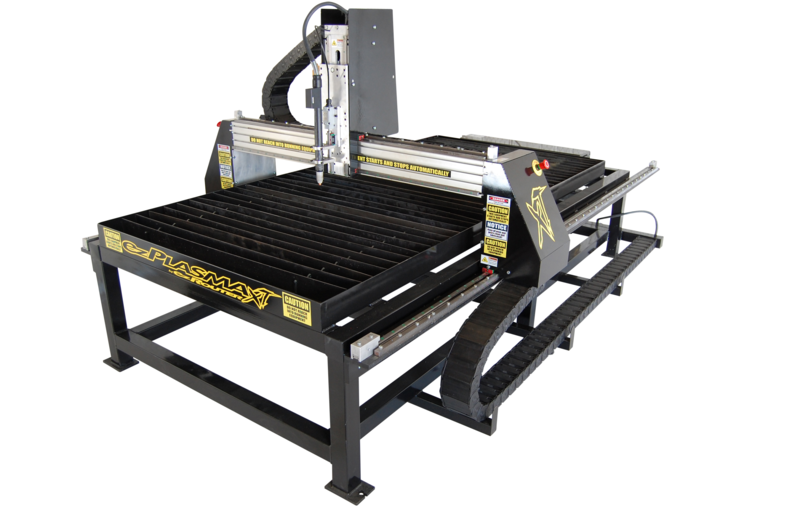 ez Router, maker of high-quality CNC plasma cutter machines and CNC router machines introduces the new ez Plasma XT CNC machine. This incredible machine has several sizes, varying from 4x4 up to 10x35 feet. 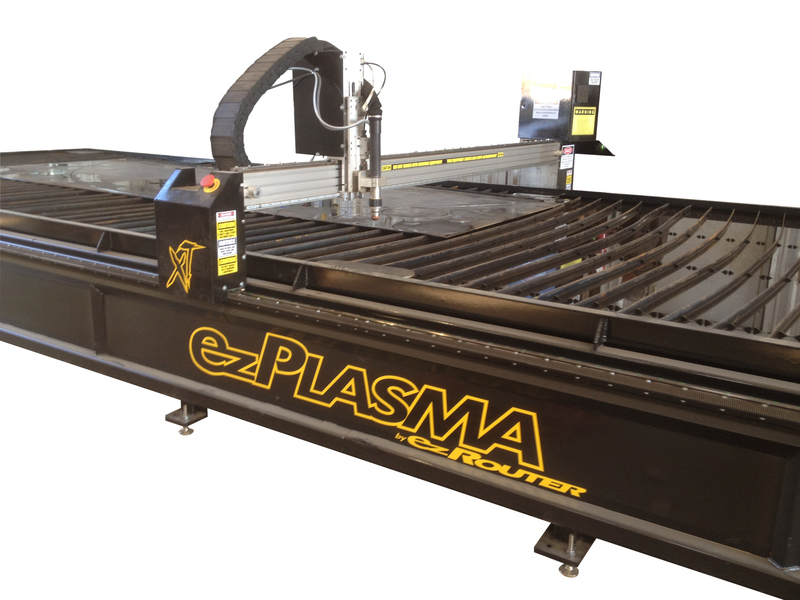 The ez Plasma XT plasma cutter is a rugged but agile machine particularly well-suited to high-volume production needs. Furthermore, everything about the ez Plasma XT was made in the United States of America, thus guaranteeing a level of high-quality manufacturing, materials and parts that cannot be found in machines produced by overseas competitors to ez Router. The steel and aluminum making up the ez Plasma XT was all produced in the United States, while the machine itself was produced at the ez Router plant in Texas. Cutting accuracy to +/- 0.005"
The machine arrives at the customer's shop fully assembled and ready to produce. No expensive computer equipment is required to run the ez Plasma XT; this machine operates using a standard desktop PC. It uses Vectric Vcarve Pro Drawing software and comes with a standard LPT printer port direct connection. The only thing that is not included within the ez Plasma XT is the plasma itself. The amount of plasma necessary will depend upon the application for which the cutter is used. The ez Plasma XT is only one of several excellent products manufactured by CNC router maker ez Router. Other plasma cutters for sale include a wide range of machines for both professional shops and hobbyists looking for a precision CNC machine but without having to pay an exorbitant amount of money. The ez Mini, for example, is a CNC router that's only 30” x 30” -- perfect for a garage or a home workshop, yet more robust and precise than a standard retail router. Machine accessories and CNC routing software is also available from ez Router. For more information and for a price list, contact ez Router or visit the company's website at ez-router.com.